Workshops - Pöge-Haus e.V. : Pöge-Haus e.V. At the second part of Roots and Sprouts workshops we will be having with us Isabel Martín . She will teach traditional iberian rhythms and songs on the SQUARE DRUM. 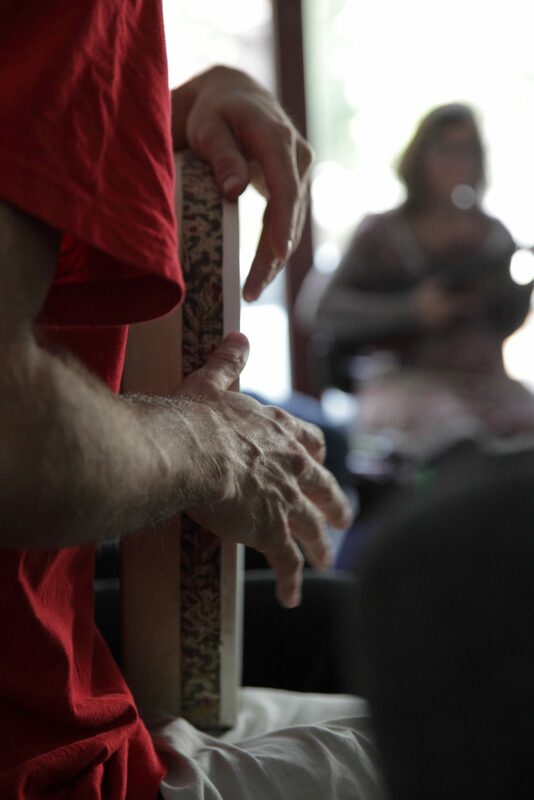 There will be also some input about the orchestration of percussion instruments. If you are curious join at Jolle Leipzig. At Jolle Leipzig you will have the opportunity to get deeper insights into techniques and rhythm adaptations on the fascinating drum from Peñaparda with Isabel Martín. 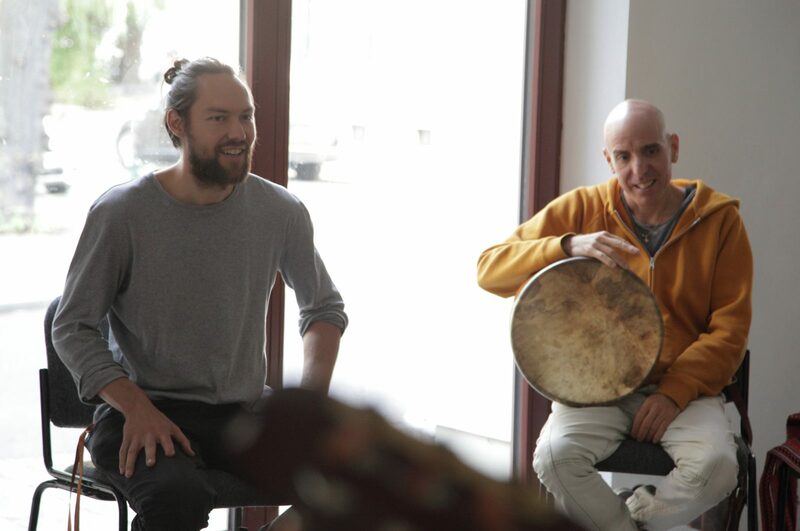 On two weekends you have the opportunity to be inspired by various internationally known artists and experienced teachers and expand your musical horizon. If you are interested, there is the opportunity to develop your own pieces to work together with the group and the teachers. The workshops are aimed at instrumentalists and singers, with and without a migration background, who play an instrument. 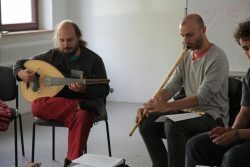 The teachers impart traditional melodies and rhythms from the Mediterranean region and the Middle East (Greek, Turkish, Afghan, Persian, Spanish, and others) and their contemporary forms. 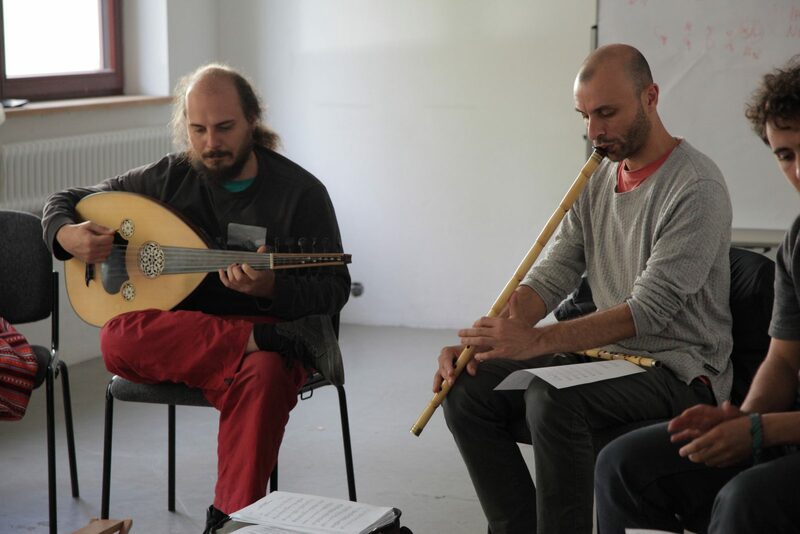 It introduces the characteristics of modal music of these cultures (Maqamat / Makamlar) and insights into improvisational forms (Taksim). 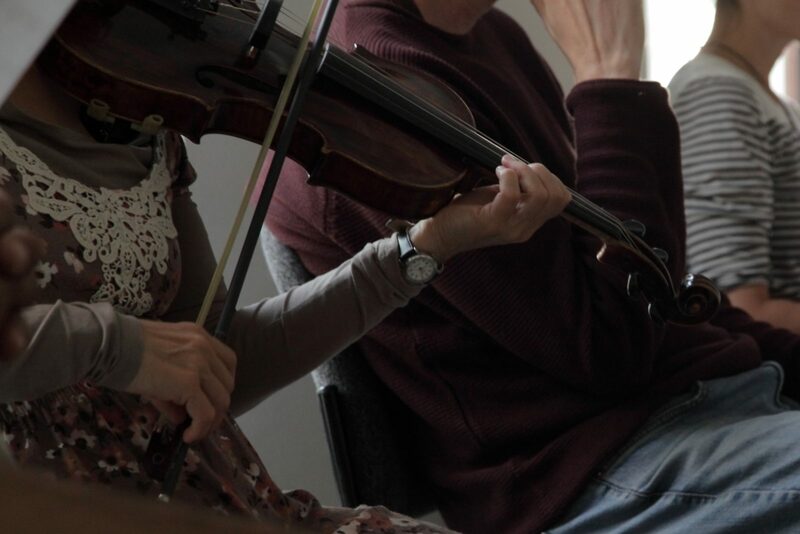 According to your instrument, you opt for one of the teachers and work with them as a group (ADVANCED). You can either book one or two weekends. On FRIDAYS you have the opportunity to be inspired by the topics of the teachers (INTRODUCTION). Introductions can be booked separetly and are open for all levels.